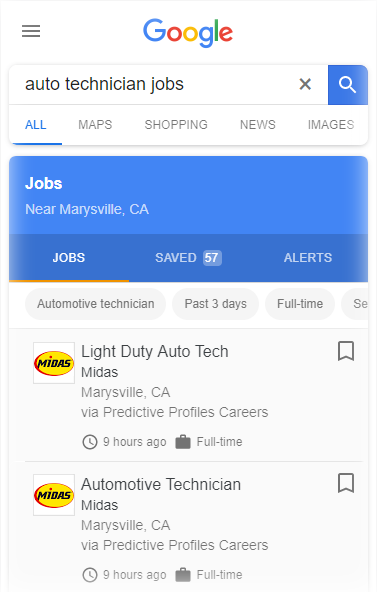 We post your jobs on Indeed and on Google’s new Rich Featured Job Listings to help our franchisees attract the most quality candidates out there. Bottom line – if someone is looking, they’ll find you. Your jobs are automatically synced with Indeed’s vast network of search engines and job boards. Job seekers see your nearby job openings listed on Indeed, Google, and thousands of partner sites, and apply directly to the location in your applicant tracking solution provided by PredictiveProfiles. As hiring manager you’re notified to log in and review immediately after someone applies to your location.